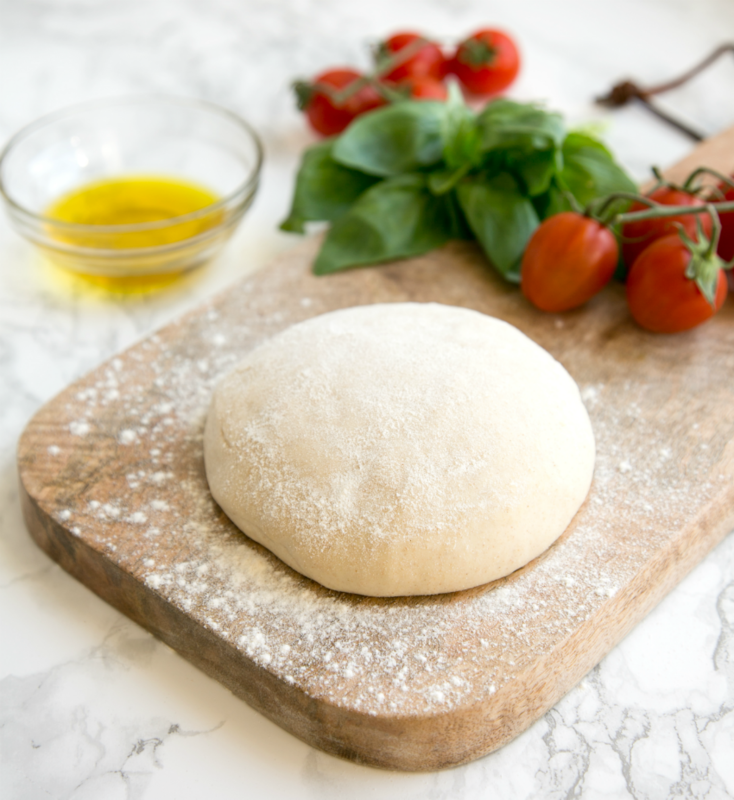 Making your own homemade authentic Italian pizza at home is easier than you think, and it all starts with a proper pizza base. Although you can make it by hand, it's effortlessly easier, and involves a lot less work if you use a mixer such as a KitchenAid. My top tip? Make a big batch of pizza base and freeze for later, so you can satisfy your pizza cravings whenever you want, in the comfort of your home! In a small mixing bowl, mix together the water with active dry yeast and salt until dissolved. 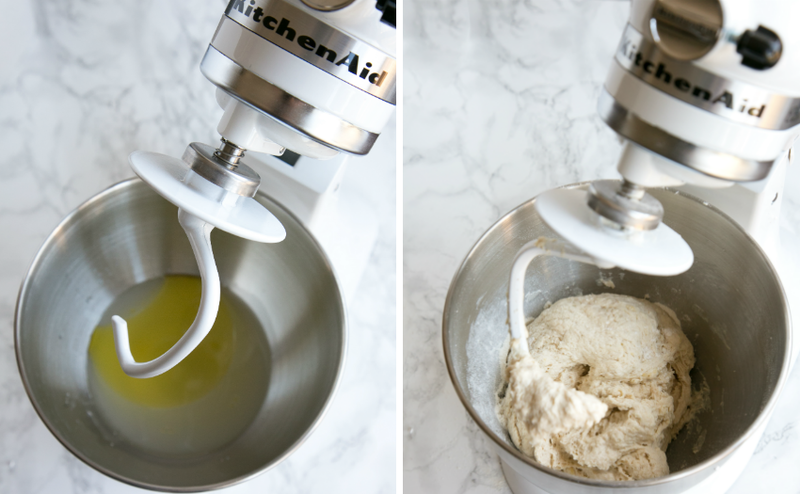 Pour the water mix into your KitchenAid and, using your dough hook attachment, start mixing on a low speed, slowly incorporating the flour. Mix together all ingredients for about 5-6 minutes, until the dough is smooth and stops sticking to the sides of the bowl. If the dough is still too sticky sprinkle in a little more flour, if it's too dry add a little more water. Transfer the dough onto a clean surface sprinkled with flour and work with your hands until smooth and even. Transfer the dough in a lightly oiled bowl and cover with cling film. Allow to rest in a warm place for about 2 hours. After the resting time, the dough should have doubled in size. Transfer the dough to a lightly floured surface and divide in three even pieces with the help of a dough scraper. Work each ball with your hands until smooth and even, then transfer into a lightly oiled tray, cover with film and allow to rise for an extra half an hour. Your pizza base is now ready to be topped with your favourite toppings and baked. Alternatively, you can dust each base with flour and transfer into individual freezer bags and freeze for use later. They can be stored in the freezer for up to a month. Now you've got the pizza base it's time to load it with some amazing veggies - take a look at my Caramelised Onions, Kale and Mushroom Pizza Recipe. Recipe courtesy of The Petite Cook. Food blogger and world-traveller based in London. Andrea worked in the michellin-starred restaurant business for a few years where she honed her cooking skills. Now, she develops delicious recipes for her blog - The Petite Cook.